Do you have documents in your business that need to be disposed of in a confidential manner? 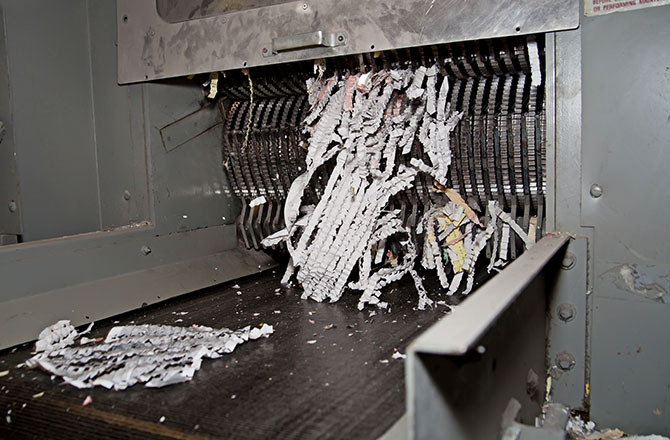 Don’t waste money on an expensive document shredding service. Greenway Recycling will not only destroy your secure documents for free, we’ll recycle them, doing less harm to the environment! Contact Greenway Recycling for your secure locked bins. We’ll drop them off and place them where it’s most convenient for you. The bins stay locked so you can have confidence that once that paper leaves your hands, your information is protected. Your documents are taken directly to the plant and shredded. It’s that simple! All your confidential documents are destroyed in a safe manner and none of them end up in a landfill. Document shredding offers a professional way to keep important business, customer, and personal information safe while assuring your clients and employees that you care about their security. Your employees will thank you and your satisfied customers will help improve your reputation. Protect your important information with document shredding. Keep in mind: recycling one ton of paper saves 17 trees, 7000 gallons of water, keeps 60 pounds of pollutants out of the air and can power an average home for 6 months. Reduce trash bills and spare the landfill. Greenway Recycling is ready to help you go green!